Gladiators were trained to fight each other or against animals, sometimes to the death. They would fight for the entertainment of the crowds in arenas and amphitheatres. 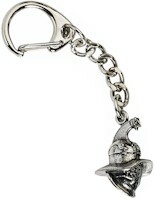 This highly detailed Roman Gladiator Helmet is made from lead-free pewter and supplied on a quality key-chain. A set of 4 colouring postcards with images of the Romans on the front and a postcard design on the reverse with educational information. Each pack is supplied with 6 pencils.